New York City restaurants with outdoor tables will soon be able to welcome four-legged guests under new rules announced by the city Health Department. 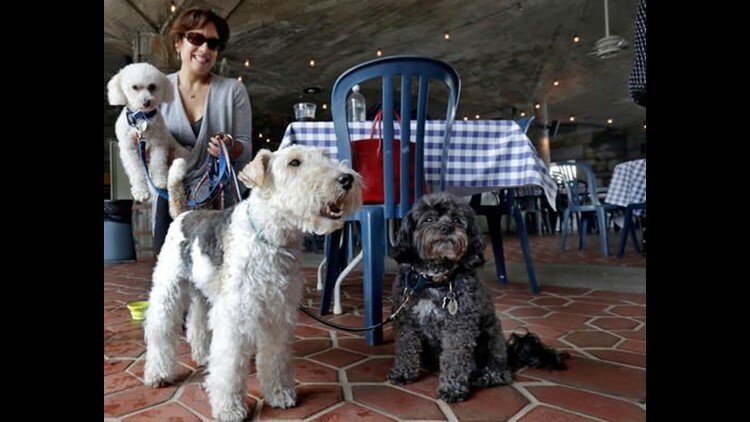 NEW YORK (AP) — New York City restaurants with outdoor tables will soon be able to welcome four-legged guests under new rules announced by the city Health Department. The regulations announced Tuesday will permit dogs that are licensed and vaccinated against rabies to join their human chowhounds at participating restaurants. The state Legislature passed a law last year allowing municipalities to set their own rules for dogs in outdoor dining areas. The bill's sponsor, Democratic Assemblywoman Linda Rosenthal, says she's pleased that the city Health Department "threw dog lovers a bone." City Health Commissioner Dr. Mary Bassett says the new rules will go into effect in 30 days, just in time for outdoor dining season. New York City restaurants were previously required to restrict dogs to the area outside the patio railing.